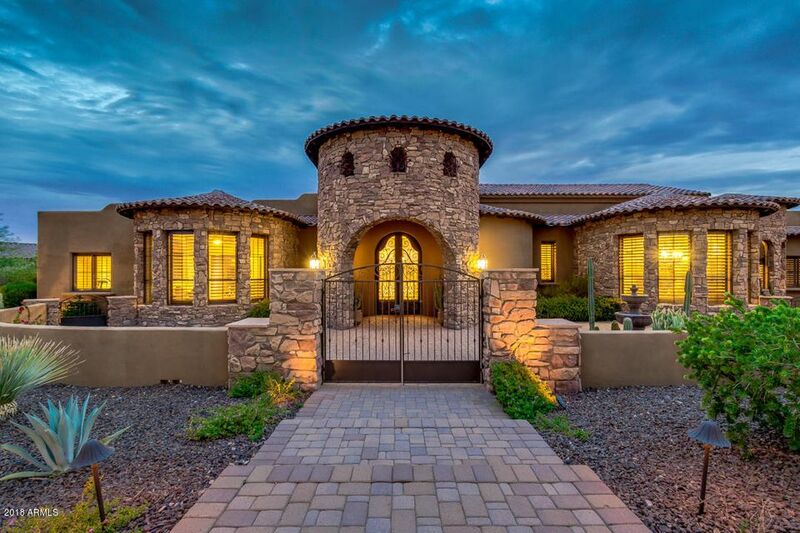 All TERRASINA homes currently listed for sale in Scottsdale as of 04/23/2019 are shown below. You can change the search criteria at any time by pressing the 'Change Search' button below. "Beautiful European Tuscan home in the gated Community of Rancho Terrasina neighborhood. This stunning home is on an acre lot and has an open kitchen to family room floor plan, split master bedroom, with gorgeous city lights and Camelback Mountain views. The home includes custom upgrades including barrel, groin, and wood vaulted ceilings, custom stone hood, stone fireplaces, travertine floors, Subzero and Wolf appliances. Outdoors you'll find ultimate privacy where you can relax by the Infiniti p"